Here’s an interesting question: would the release of internal White House documents before the Iraq War began have prevented the Bush Administration from going ahead with it? 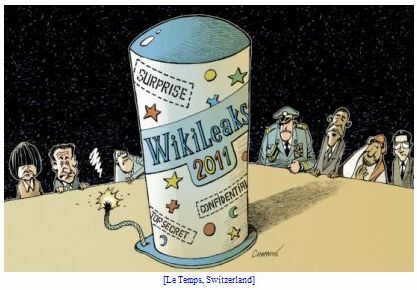 According to columnist Ulrich Ladurner of Germany’s Die Zeit, not only is it likely that the war would have been prevented – but Julian Assange may well have won the Nobel Peace Prize. Julian Assange has been much reviled for his dogma that everything should be transparent. That’s childish – and indecent, some say. There is, of course, something to these accusations. But just imagine for a moment if Assange’s WikiLeaks made public White House documents prior to the Iraq War. We could have read how George W. Bush’s men shamelessly manipulated information, and how they would stop at nothing to pick a fight with the hated Saddam Hussein. In light of such revelations, would the Iraq War have even happened? Probably not. The much-derided “silly-boy” Assange would have prevented a war that cost hundreds of thousands of lives. He would have been a candidate for the Nobel Peace Prize.